Sunbeams — what a drag. That’s the conclusion of physicists trying to solve a longstanding mystery: why the sun’s surface rotates more slowly than its inner core. The team argues that energy radiating outward from the sun pushes back slightly as it is expelled, providing just enough resistance to put on the brakes. 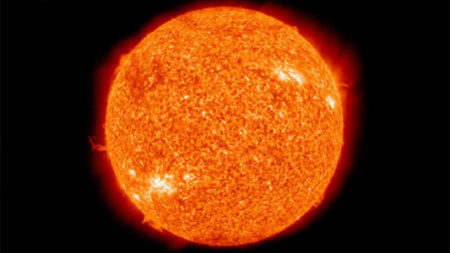 The hypothesis is supported by a new observation: that the thin “skin” of the sun rotates more slowly than layers just beneath. Conventional wisdom has it that oysters are one of the most environmentally friendly animal proteins. Not only do bivalve shellfish require no nutrients or marine ingredients to be added to the water, as filter feeders they actually clean the water column, removing pollutants and impurities to reduce turbidity. So when one of California’s oldest oyster farms was shut down amid reports that it was degrading the environment, local observers took notice. Two years later, the case is still far from closed in the eyes of the farm’s supporters and its critics. Read the rest of my story for the Global Aquaculture Advocate here (free log-in account required).